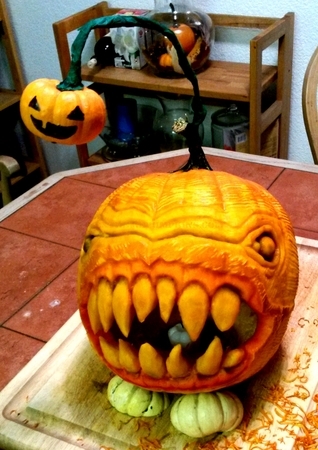 No doubt this pumpkin was inspired by the nasty anglerfish. This angler pumpkin appears to be using a small pumpkin as bait to lure in a larger prey. It's a great sculpture with lots of texture and fantastic teeth. Great work!